Fun things to do continues – Today SUP! Fun things to do continues – Today it’s about SUP! We’ll take you from flying through the air zip-lining last week to exploring the beautiful Gulf waters! Are you asking yourself right now “What in the world is SUP??”. It’s short for Stand Up Paddle. 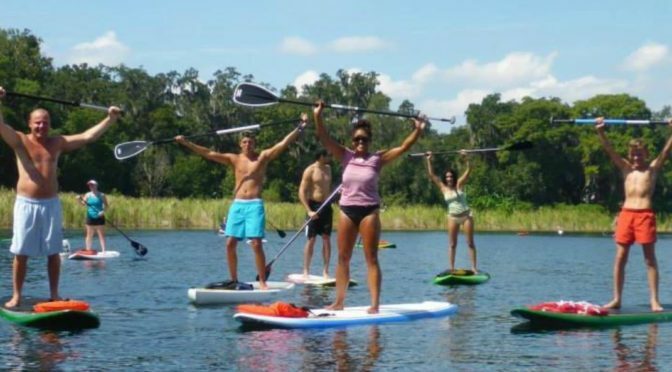 Enjoy a relaxing, leisurely cruise on the water and catch a glimpse of our beautiful wildlife while getting a great workout as a bonus on a paddle board. Water Monkey is one of the companies serving our Tampa Bay Beaches with providing services like lessons and nature tours. Or, you can just rent a paddle board and explore our beautiful waters on your own. Learn more on their Website how to set up your fun water experience the next time you stay in one our our beautiful beach front condos on the St. Petersburg/Clearwater Beaches. If you haven’t made reservations for your summer vacation yet, it’s not too late! Find your favorite place to stay at www.resortrentals.us and book online today!